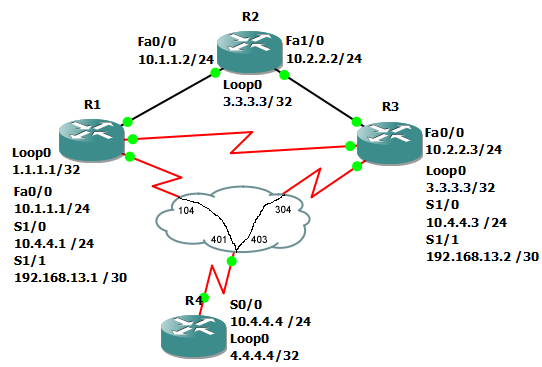 This command tells EIGRP to communicate with unicast updates to a specific neighbor. In this example, we will configure R4 to send its updates to R3 using unicast. Looking at the debug output for ip packets, we see that updates are currently being sent to EIGRP’s multicast address 224.0.0.10. We then configure R4, R1, and R3 to sent updates via unicast. Notice that updates are now being sent directly to R1 and R3.